Farther west than Denver, Colorado, and closer to San Diego than Houston, El Paso is an attractive sun belt city and international gateway with a growing population. The city itself has about 600,000 residents; however, El Paso is only part of a larger bi-national metropolitan area with a population of 3 million, when you add in nearby Ciudad Juarez, Mexico, and Las Cruces, New Mexico. Currently, El Paso is the 68th largest metropolitan area in the United States; however, if Juarez were included, it would leap up to 18th, between San Diego and St. Louis. 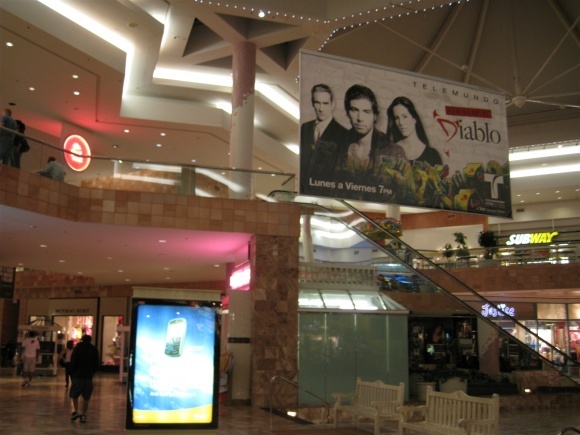 El Paso is also a destinational retail city, with a far-reaching pull from southern New Mexico, much of north-central Mexico, and all of west Texas. 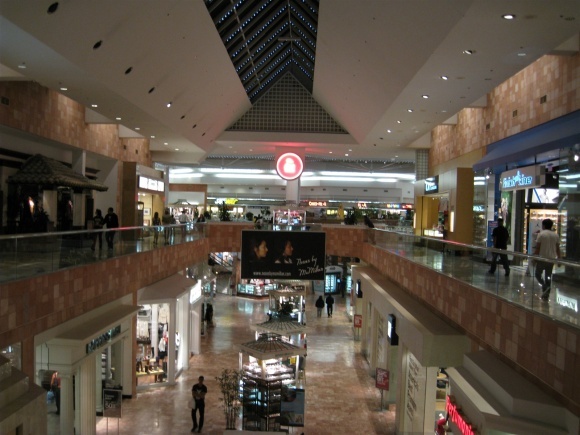 However, according to ICSC, El Paso’s retail-per-capita is low for a metropolitan area of its size. This may be, in part, due to the relatively low purchasing power of the region. The average median household income in El Paso is $10,000 below the national average, and the incomes in Juarez are most likely significantly lower than that. There are other reasons, too, for a lack of a retail development boom in El Paso. Because well over half of the residents of the bi-national metropolitan area live in Juarez, simply crossing the border is an issue. Often, wait times at the border crossings are over an hour; and, due to hot issues like illegal immigration, terrorism and drug transport, everyone crossing into the United States is subject to intense scrutiny. 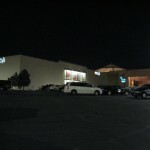 As a result, what could be a 10 minute trip to one of El Paso’s malls becomes far less convenient. 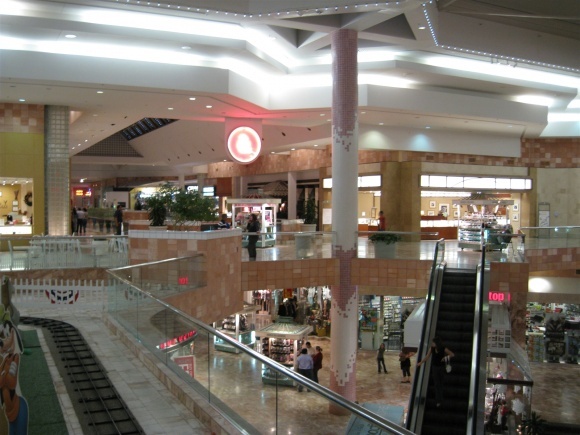 In addition, although the retail offerings in El Paso offer Mexican shoppers items and brands they can’t get at home, Juarez has similar chains and modern, spacious malls of similar size. 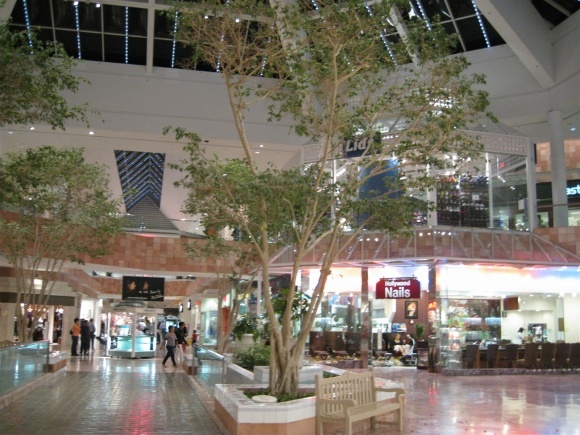 Also, Las Cruces, New Mexico has its own mall too, which probably prevents shoppers there from making the 50-mile trek into El Paso often. Nonetheless, judging by the license plates on the cars at El Paso’s retail establishments, many do make the trek from Mexico and New Mexico. 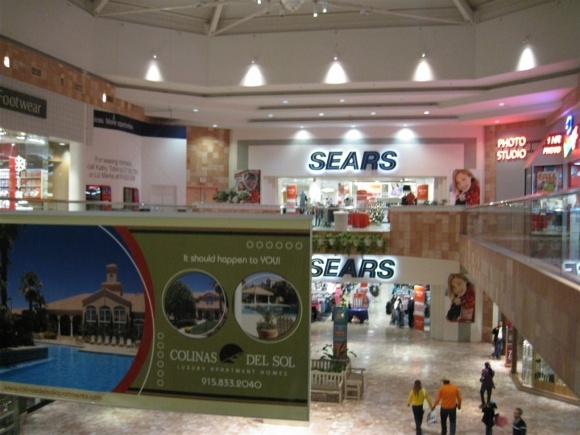 El Paso currently has 3 major malls, with a fourth – a lifestyle center – possibly on the way. 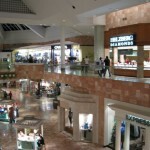 The two major super-regional malls are Cielo Vista Mall, on the east side, and Sunland Park Mall, on the west side. 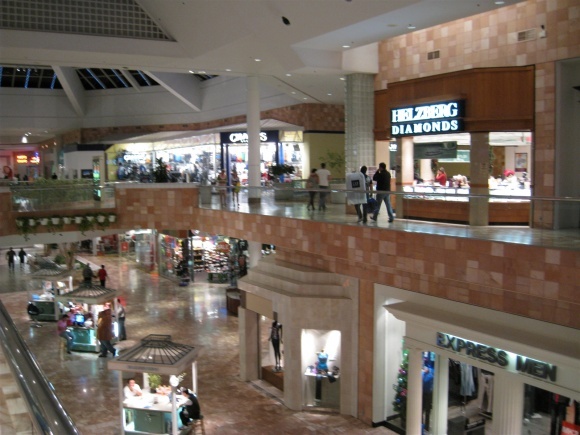 The third mall in town is the much smaller Bassett Place, which is very close to Cielo Vista and essentially serves as its ancillary. 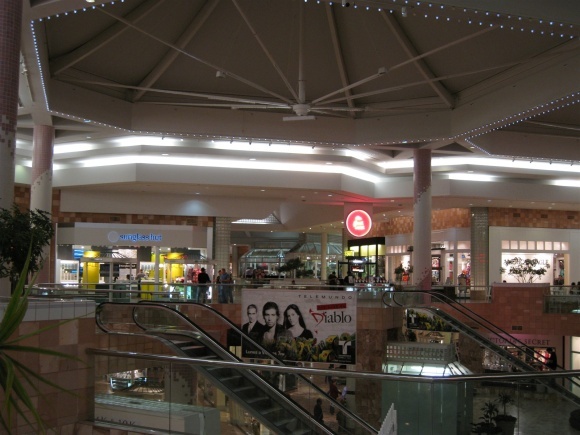 Between the two major players in town, Sunland Park Mall is both newer and slightly smaller than Cielo Vista. 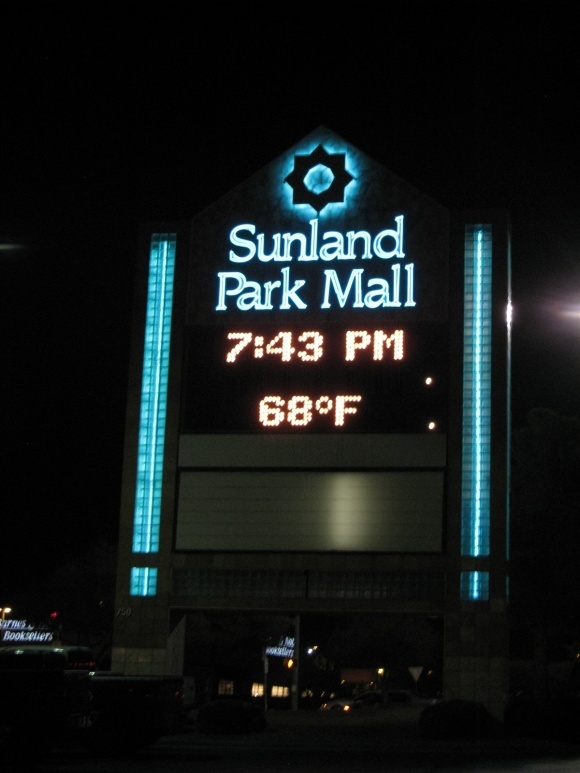 Built in 1988, Sunland Park Mall was named after the nearby Sunland Park Racetrack in nearby Sunland Park, New Mexico, a couple miles away. 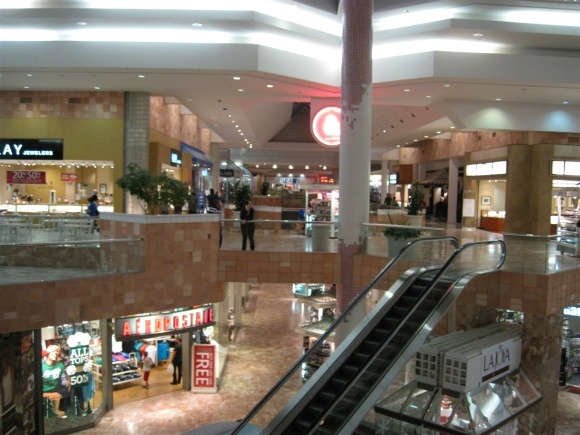 Sunland Park Mall is a large, two-level, ‘L’-shaped mall, with five anchors and almost 1 million square feet of retail space. 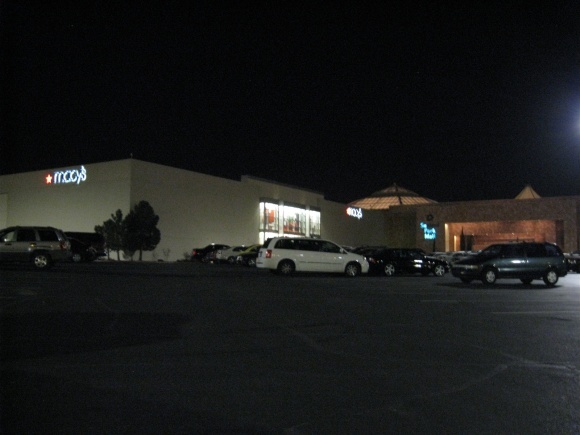 The mall itself is anchor to a larger retail district serving El Paso’s west side, located mostly along TX 20 stretching from downtown to the northwest. 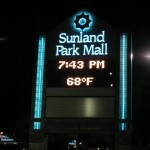 Sunland Park is fairly well-tenanted with popular national chains, despite its lone, inaccurate Yelp review indicating otherwise. 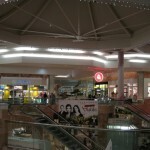 However, Cielo Vista across town probably has a slightly better mix of stores. I’m going to need a little help filling in some of the holes in the history of the anchor stores here. I know that one of the anchors was El Paso-based The Popular (Dry Goods Company). 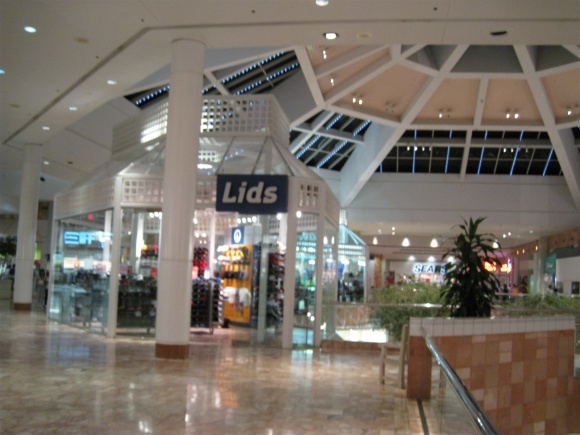 It closed in November 1995 and was immediately replaced by Sears. 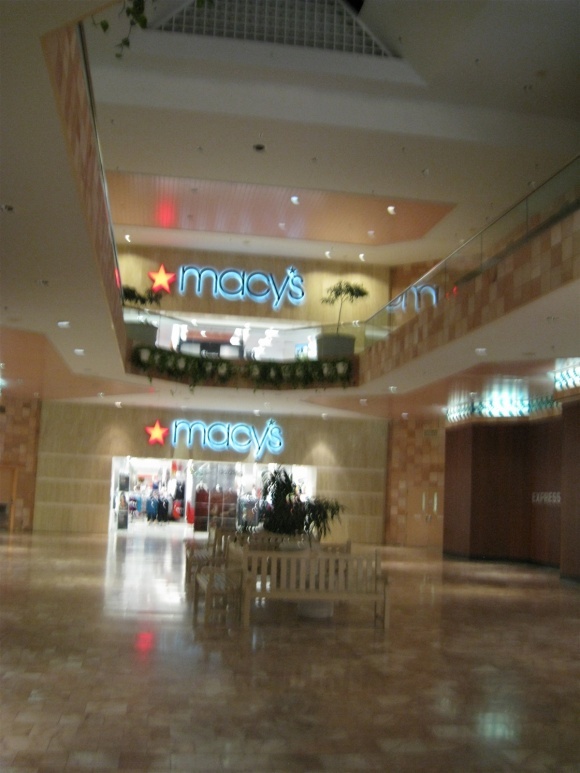 I also know that Macy’s was Foley’s from 2004-2006, but what was it before that? 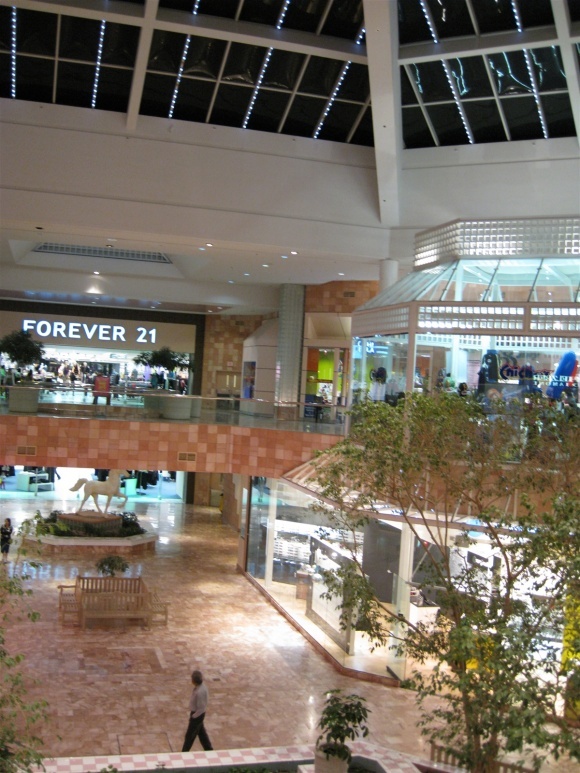 And Mervyn’s, which closed in 2008, was replaced by a full-size Forever 21 in 2009. 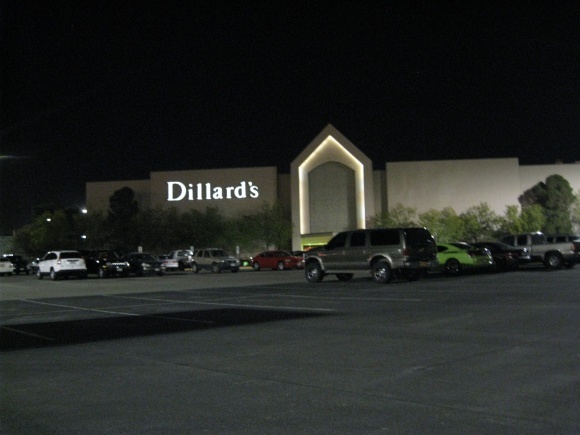 Also, Dillard’s has two full-size locations here, so one of those was probably something else at some point too. Let us know! 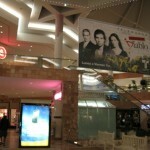 I visited Sunland Park Mall in November 2009 and took the pictures featured here. 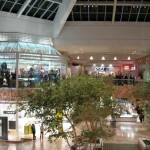 Leave us a message or two and tell us about your own experiences with – or impressions of – the mall. The featured Dillard’s looks to be original to the mall, while the Macy’s is from Foley’s ‘lifestyle store’ period, meaning it either was a total rebuild of an existing anchor pad or a new pad created for them. I’m wondering if there was ever a JCPenney or Montgomery Ward here; it seems like there should have been. @Steven Swain, Yes there was a Montgomery Wards, as for whether it was in that position unfortunately i can’t remember. 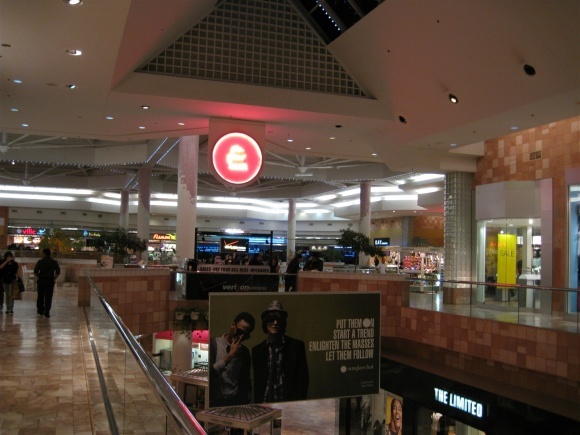 There was indeed a JCPenney at one point, and possibly a Wards as well. 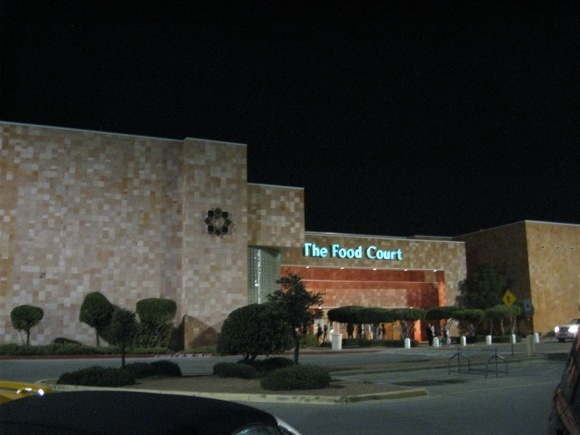 Most likely, one of the Dillard’s is the former Penney’s, and Foley’s the former Wards, as there are many other Texas malls where Foley’s knocked down a Wards. The Foley’s looks like the late 1990s/early 2000s design: I think it resembles their The Galleria store, opened 2003. 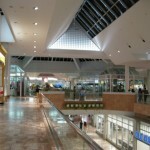 Another design WAS the “lifestyle center” design, such as 2005’s The Shops at La Cantera. These, of course, were short lived. The Sears is quite bizarre: it has a diamond shape with a skylight running down it. No surprise that it was a former anchor. Was Popular Dry Goods really upscale? @Pseudo3D, I do know for sure that the Popular was at Bassett Center (Place whatever can you tell I still think of it as Bassett Center?) anyway I dont recall that the Popular was at Sunland. 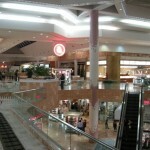 The mall remindes of pyrmid’s Carousel center in Syracuse, New York. It opened around 1992. For a mall of its vintage, this one has aged very well. Maybe the fact that they’re nighttime photos helps, but the combination of the pink marble, trees, glassy storefronts, and pergola-esque skylights make it look very inviting, especially in the Sears photo at the top. Had this one either been built a few years later or renovated, the interior would have likely been re-done in bland white paint and white marble…glad it wasn’t! Anyone know what those hanging illuminated pink and white circles that pop up in several of the pics are? I can’t figure it out! 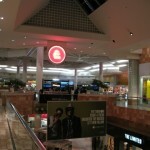 Those are the directional signs letting you know where the anchor stores and the food court is. 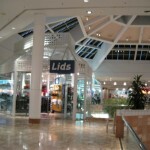 As for Dillards–any chance one of the locations was a Joske’s? Looks like a very airy feel in there…and I dig the pink marble for some reason! The Dillard’s had to have been a Joske’s. 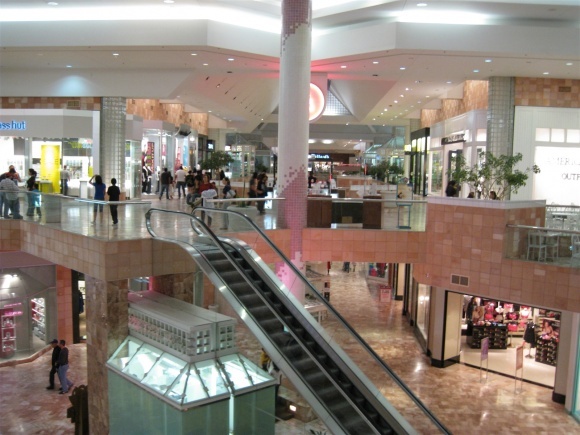 Dillards always has bought out competitors, they would never open a second store in the same mall. Joske’s was based out of San Antonio and had stores as far west as Phoenix- it makes the most sense. 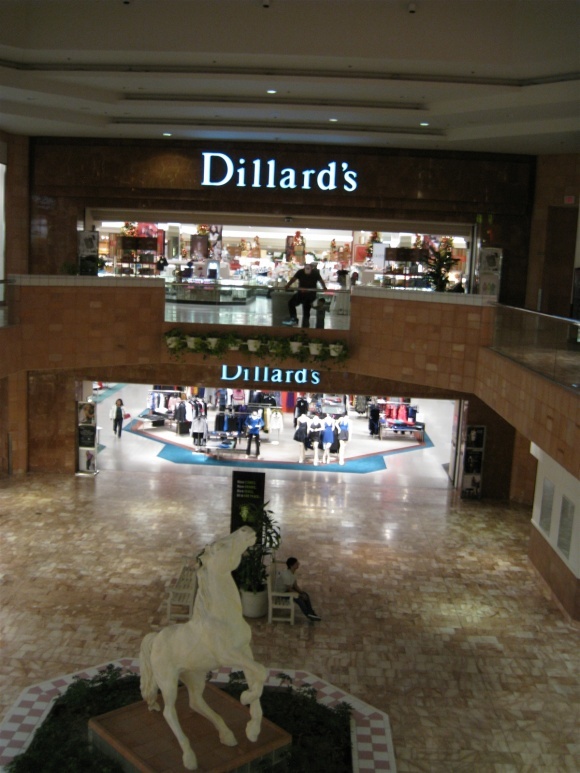 The ones in Arizona became Dillards in the early 90’s. @kdk, If memory serves me right, the Dillards was original and Sears was originally a store called the Popular. 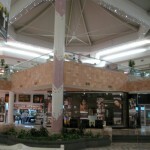 The Popular was a local Department store which ceased opreation in 1998 or 1999, when the family was no longer interested in owning it. 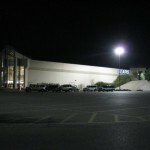 DIllards took over operation of the chain and converted the Bassett Center Popular into a Dillards. 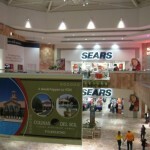 Since it (Dillards) already had a store at Sunland Park, the space was taken over by Sears. I’ve found absolutely no proof of Joske’s ever being in this mall. 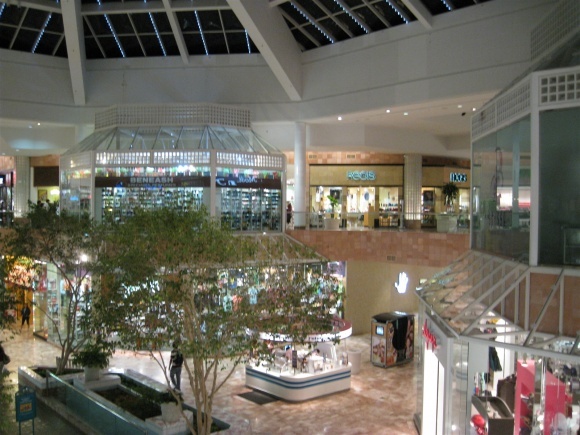 I have seen Dillard’s and other stores open up ancillary stores in what used to be “primary” anchors (e.g., a former JCPenney, Montgomery Ward, etc. 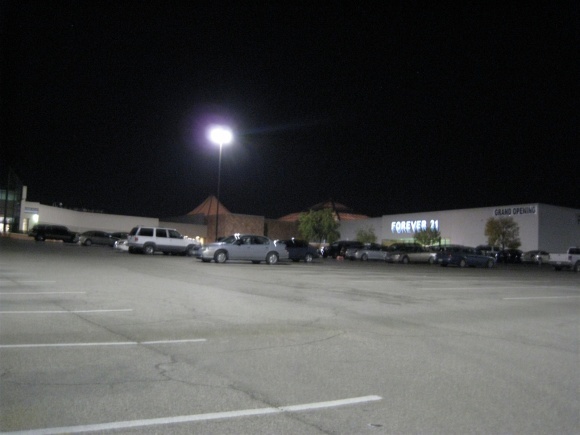 ), and I did find a late-80s source that mentioned there being a JCPenney here at one point. The smaller Dillard’s was definitely never a Joske’s. The Joske’s chain was bought out by Dillard’s in 1987 and all of the stores were quickly rebranded. Sunland Park didn’t open till 1988. Bobby P. is also correct. In a portfolio listing by Simon Properties (owner) dated 12/31/1997, it lists the anchors as General Cinemas, JC Penney, Mervyn’s, Sears, Dillard’s & Montgomery Ward. 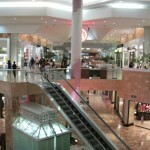 I found an article mentioning Montgomery Wards being turned into a Dillards. From the looks of it, the Dillards on the south side looks like a former Montgomery Ward store from their 90’s look. This store matches a former store in Victorville, CA. 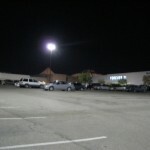 Given the location of the Foley’s/Macy’s, I’d say that that was the former JCPenney store. 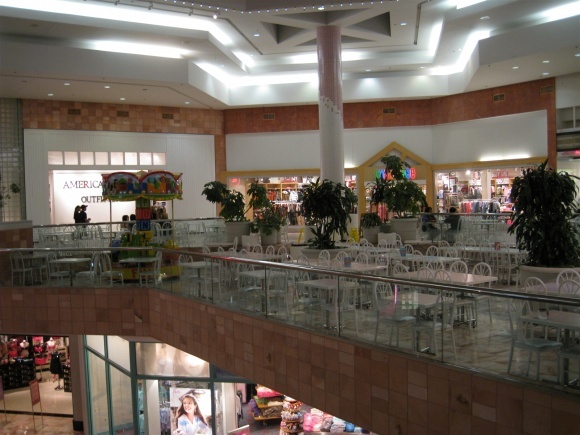 Penney’s had a habit of locating in the corner of malls like this. 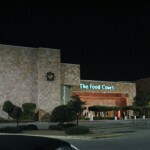 Cortana (Baton Rouge) and the mall in Topeka, KS come to mind. 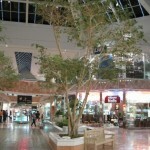 The pink marble, airy atmosphere and foliage give the mall an upscale vibe, which is nice. Assuming that this mall has never been renovated, it looks very inviting even to this day, albeit a paint job here and there wouldn’t hurt. 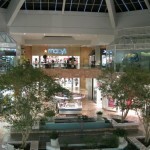 JCPenney used to be where Macys is now, I lived in El Paso when it chanced to Foleys, it happened sometime between 2004-2006, Foleys completely redid the store, inside and outside. Then when Macys bought Foleys it just simply changed names. 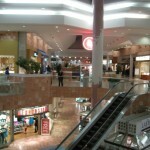 I LOVE this mall!! 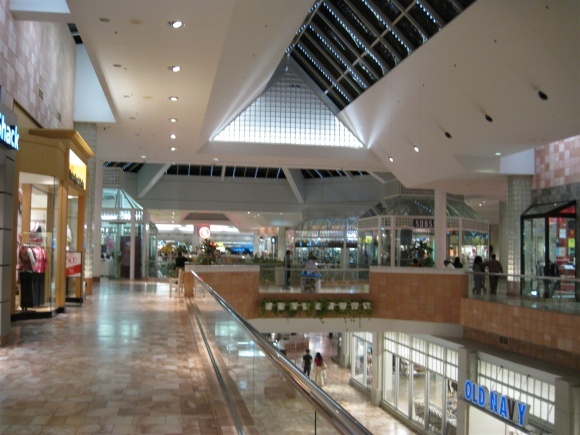 I shop here a lot and have the option of going to the outlet mall – but why when you have a beautiful, inviting mall with same stores (almost) and same prices. The skylight tents are a very unique feature. 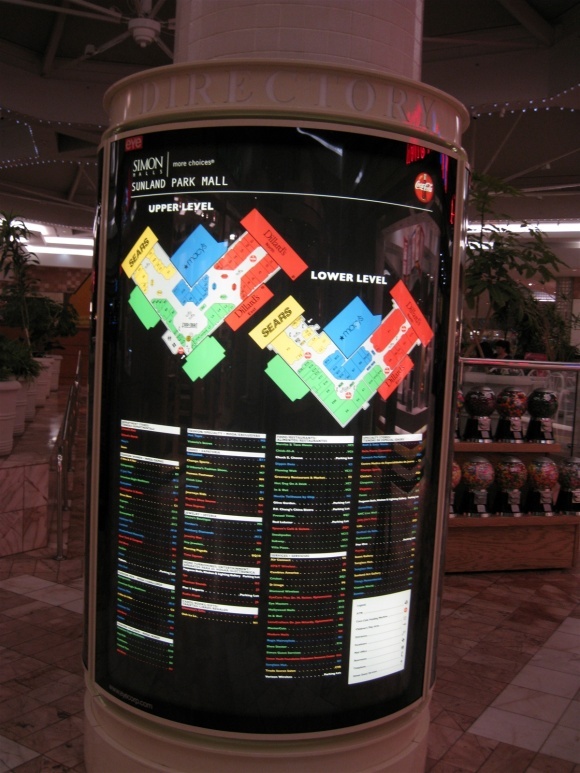 To answer one of the questions above, the “round pink” things are signs listing stores in that part of the mall. Yes, lots of pink, but beautiful pink in the form of marble tile. 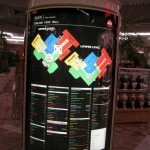 I love the look of the directory. One of my favorite designs. 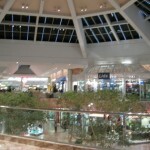 My dad’s construction company helped build this mall. 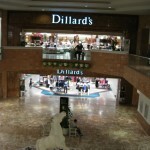 I can confirm the Dillard’s in the pictures is the original Dillard’s and once housed all of their merchandise. 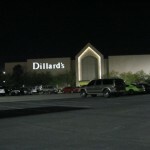 The second Dillard’s location was actually the Ward’s. When War’ds closed Dillard’s moved it’s mens store and home store to that location. 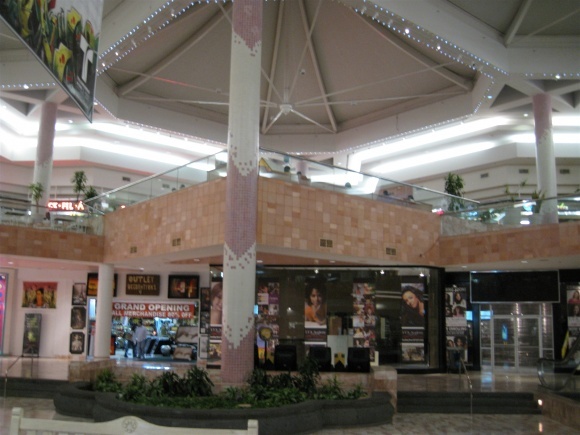 The General Cinema that anchored the food court became an AMC and closed in late 2004. 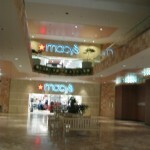 The JC Penny was replaced by Foley’s in 2004 and became Macy’s in 2006. 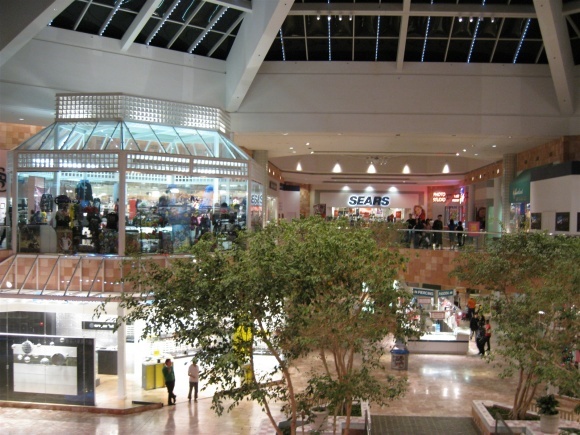 Sears was built as The Popular and originally housed The Greenery as well. The Greenery was related to The Popular somehow. The Popular was upscale. Similar to a Nordstrom. 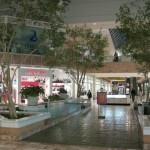 The had locations downtown, Bassett Center, Sunland Park and I’m almost certain at Northpark Mall. 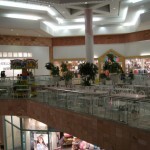 When The Popular closed it moved to the interior of the mall. 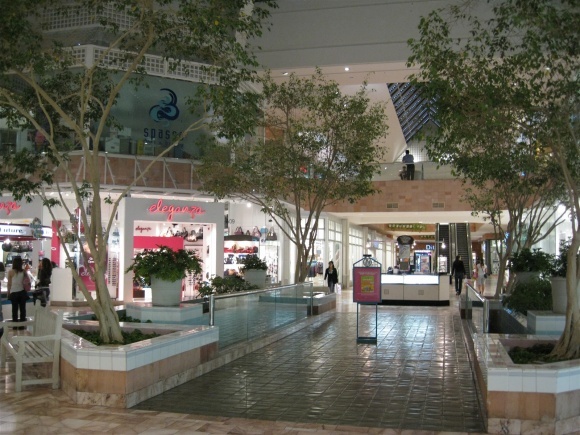 When the mall was originally opened it also housed an exhibit with animatronic dinosaurs. 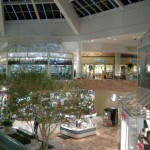 @Elias, The Greenery was located inside the Popular at Bassett Center on the top floor. After the Popular ceased opreations, the Greenery moved to Sunland Park. The Men’s Dillards was formerly a Montgomery Ward (then Wards) store. 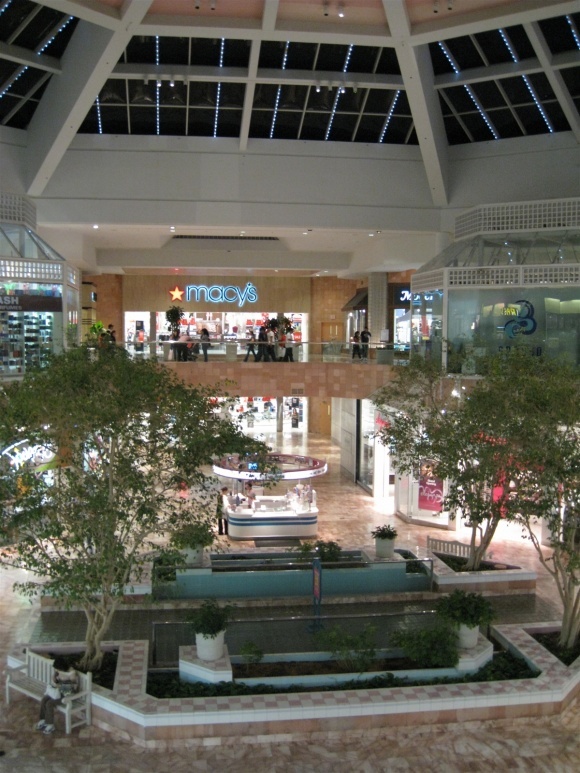 The Macy’s location, before Foley’s, was originally a JCPenney store. And finally, yes, the Popular was indeed an upscale store that I think most El Pasoans would say was nicer than Dillards or the current Macy’s. Why mall management did not pursure a more upscale tenant (Foley’s would have fit quite well) is a mystery to me, as Sears managed to fill what was once a beautiful space with cheap crap. 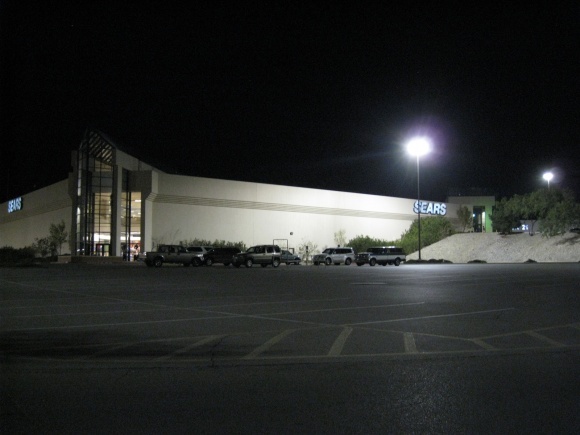 An even bigger mystery is how Sears has managed to stay open. I tend to park there every time I visit because I ALWAYS find a parking spot no further than 3 spots from the door. 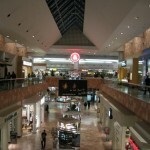 Very nice mall! 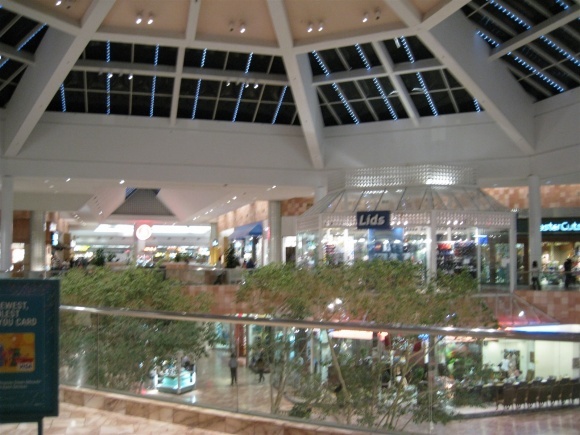 Sometime I was suspecting this might’ve been a Simon mall from the interior look of it, and which makes me think of a bigger version of Lincolnwood Town Center.